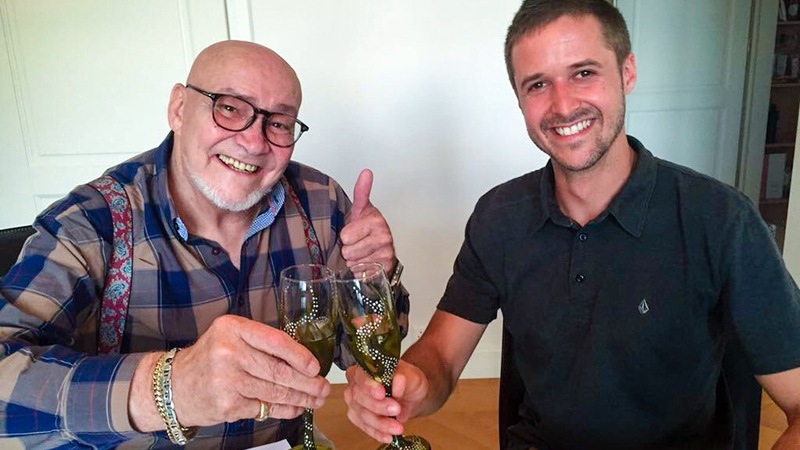 Thomas Luthi moves to MotoGP in 2018 with Marc VDS | IAMABIKER - Everything Motorcycle! Team Estrella Galicia 0,0 Marc VDS are pleased to announce that they have reached an agreement with Thomas Lüthi that will see the Swiss rider step up to MotoGP with the team in 2018. A former 125cc World Champion and a current Moto2 title contender, Lüthi will join current Moto2 championship leader, Franco Morbidelli, aboard Honda’s RC213V machines for the Estrella Galicia 0,0 Marc VDS team’s fourth season in the premier class. Born and raised in Linden near Emmental in Switzerland, Lüthi started racing on pocket bikes at the age of seven, winning two championships before stepping up to 125cc two-stroke machinery. Lüthi made his World Championship debut in the 125cc class at the 2002 German Grand Prix before joining the series full time in 2003. In 2005 the Swiss rider took his first Grand Prix win at Le Mans. Three more victories that season saw him beat Mika Kallio by five points to be crowned as the 125cc World Champion. After three seasons racing in the 250cc category in 2010 Lüthi progressed to the Moto2 class that replaced it and has finished the season outside the top five only once in seven seasons. In 2016 four race wins saw him finish the season second in the championship behind Johann Zarco. With nine podium finishes in 2017, including a race win in Brno, Lüthi currently lies second in the Moto2 championship standings, 26 points behind Morbidelli. Lüthi also has previous MotoGP experience, having tested for KTM in 2016 before their entry to the MotoGP World Championship in 2017.